An official from Ethiopia’s biggest opposition group, Medrek, said on Saturday that Ethiopia could face a similar attack to this weekend’s assault on a shopping mall in the Kenyan capital, Nairobi that has killed at least 68 people and injured hundreds others. 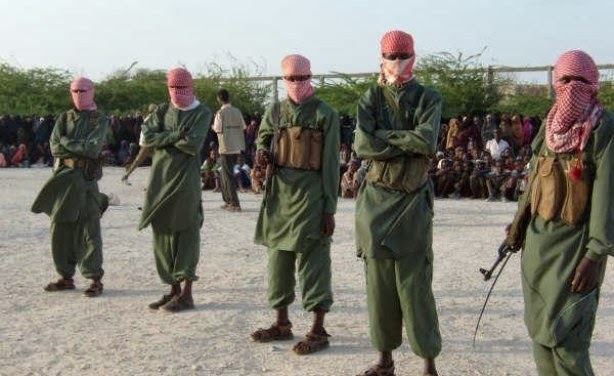 Ethiopia and Kenya both have deployed their armies to neighboring Somalia to address what they said was a threat to regional security caused by the al-Qaeda-linked Somali Al-Shabaab movement, the group which has claimed responsibility for the attack. This weekend’s attack is the worst since 2010 when suicide bombers in the Ugandan capital, At the time, al-Shabaab said the twin attack was in response to Uganda’s involvement in the African Union Mission in Somalia (AMISOM) that is fighting the Islamist militants. The assault on the popular Nairobi shopping centre began on Saturday lunchtime when between 10 and 15 attackers stormed the mall. Witnesses who escaped said that the attackers let people they identified as Muslims leave the building, while an unknown number have been kept hostage or are in hiding. “Unless Ethiopia pulls out its troops from Somalia it could have severe consequences” an opposition official, who asked anonymity, told Sudan Tribune. “Ethiopia could come across large-scale retaliation attacks from al-Shabaab similar to what was carried out in Nairobi”. “The more time Ethiopia government keeps its forces in Somalia the more risks of terrorist attack it poses against its own people”, he said, adding that the attack in Nairobi was a wakeup call. The opposition official said his political organization will soon release an official a statement with regard to the situation. Al-Shabaab said the attack was in retaliation to crimes committed by Kenyan forces that entered Somalia in 2011. The group has repeatedly threatened to carry out attacks in Kenya. “The attack at Westgate Mall is just a very tiny fraction of what Muslims in Somalia experience at the hands of Kenyan invaders” Al-Shabaab said on its Twitter feed. It added: “For long we have waged war against the Kenyans in our land, now it’s time to shift the battleground and take the war to their land #Westgate” Ethiopia first sent its troops to Somalia in 2006 and redeployed in 2011 after it withdrew in 2009 to back the weak Somalia interim government, which is trying to prevent Al Shabaab which sought to establish Islamic rule. Al-Shabaab has also been threatening to attack Ethiopia. So far not attacks have materialized. Despite the threats, Addis Ababa pledged this week that it will remain in the war-ravaged horn of Africa nation until durable peace and security is maintained. Ethiopia has around 8,000 troops in Somalia.